If you haven’t pulled the trigger after being convinced by my SnapChats to buy this miracle product, do it NOW. You’ll get a full-size bottle PLUS a free travel-size bottle for the price of one bottle! I have used this serum every night for the past two years, and have been rewarded with much thicker, longer lashes. I am always getting compliments and questions about them! This is my secret. 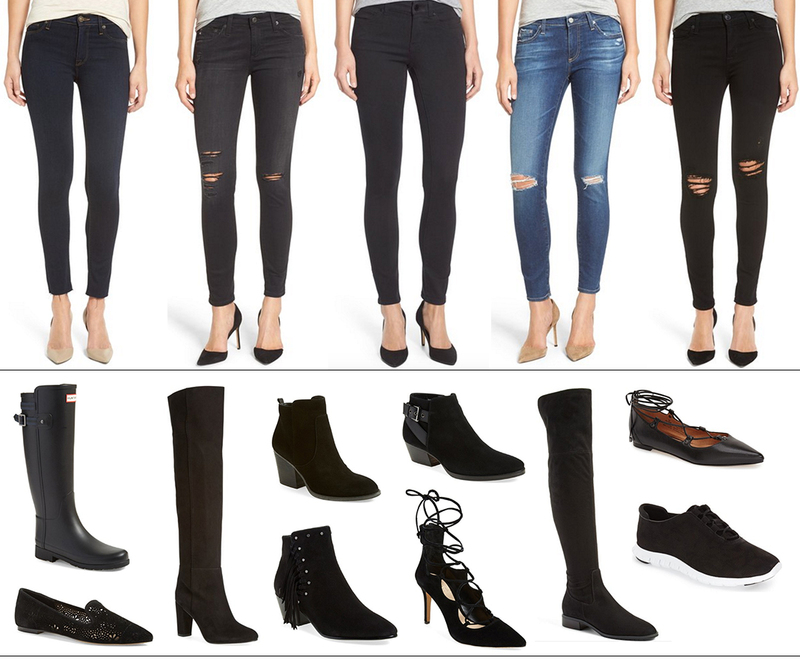 My favorite silhouette from Hudson Jeans (the Nico), is on sale in TWO different washes/styles. This black distressed pair is an edgier option for nights out this fall, and this dark blue wash is perfect for tucking into your favorite boots and pairing with cozy sweaters and flannel for more casual days. I’m always on the hunt for an updated camel coat for winter. Is there anything more effortlessly chic? I’m adding this one to my arsenal for the season. Over-the-knee boots can get expensive, especially if you’re looking at leather or suede. Luckily, this sleek pair is on sale and has the ideal minimalist style I seek out for those easy-to-throw on winter outfits. If you’re like me, you are always switching up your scent depending on the occasion. I love to throw samples into my toiletry bag for when I’m traveling, so I have the option to change things up when the mood strikes! This Jo Malone gift set comes with FIVE travel-sized versions of her most popular fragrances. I’m not afraid to make investments when it comes to accessories, but for some items of clothing a high price tag makes me cringe. 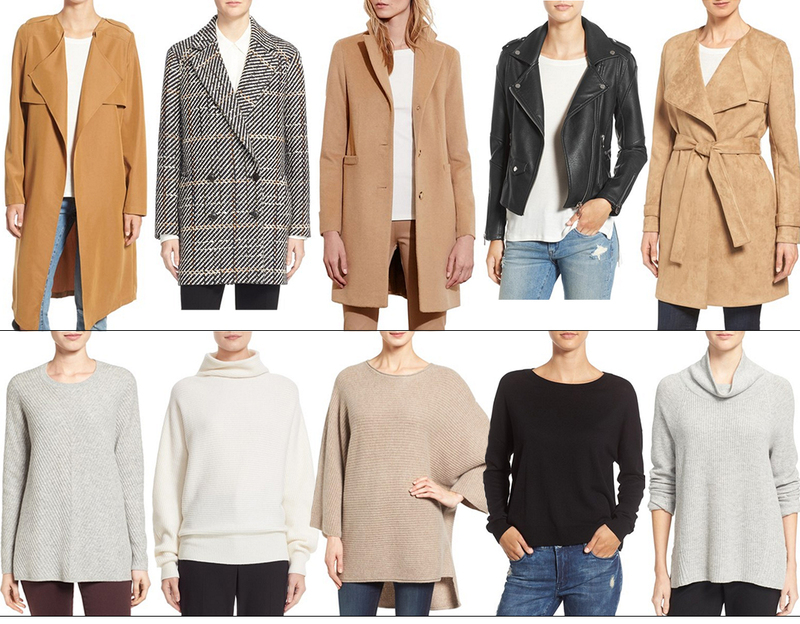 The prices on luxury cashmere gives me that icky feeling – anyone else?! I’m stocking up on a few super soft cashmere sweaters now, so I don’t have to worry about those crazy price points later. This turtleneck and this classic style are both in my shopping cart! there’s so many great staples in this sale and I’m dying to try neulash. This sale is perfect for getting Fall staples! Definitely want skinny jeans and that suede jacket! Perfect line-up! All of these looks are just beyond chic! Hi. Love you’re blog. But doesn’t the sale for non-card holders start tomorrow? Thats how I read it. Am I wrong. Just a heads up.